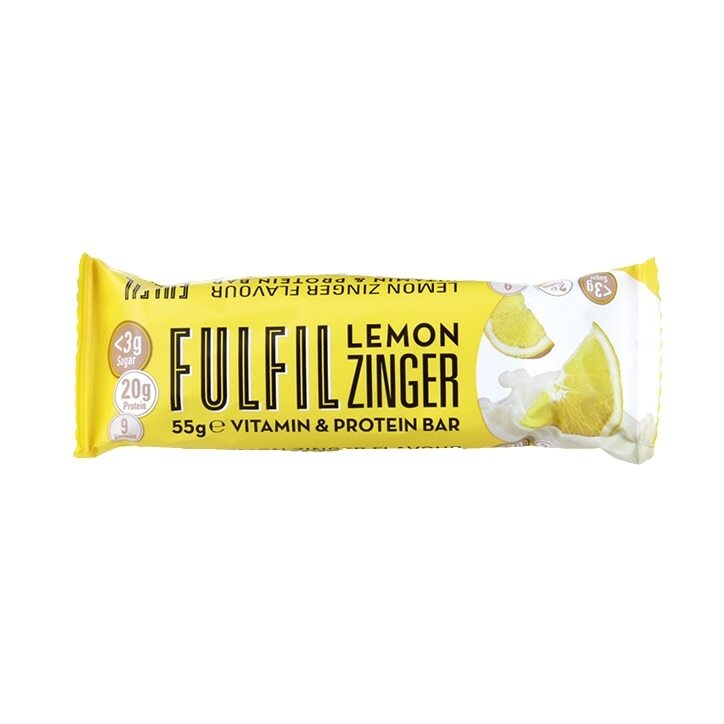 Fulfil Lemon Zinger is rated 4.8 out of 5 by 4. Rated 5 out of 5 by Mariella from My go to On the Go I bought this to try as a variant from the other flavour Fullfill bars I purchase. Was pleasantly surprised by the flavour and no aftertaste. Would purchase again. I buy in bulk when on offer. Could be a little less expensive. Rated 4 out of 5 by Boopie from Unique! Maybe not for everyone though? This is the first lemon flavoured protein-product I've seen around. It definitely has that sweet but artificial lemon taste to it which is great if you don't mind but I reckon it's not going to be to everyone's taste, better than it being super sour or something though. I wouldn't recommend trying this if you've never really had many protein bars but for someone who wants to try something new, give it a go! The bar is quite soft as well, with a nice white chocolate coating which complements it well. The macros are great too, and it's definitely worth a try considering how few lemon protein bars products there. I'll probably purchase again whenever I just want something really different and get bored of the usual standard chocolate, peanut or caramel bars which are everywhere.